Spears feel very much like a human weapon of war—so it's surprising to find out that, in fact, the stone-tipped projectiles pre-date our species by a bewildering 85,000 years. 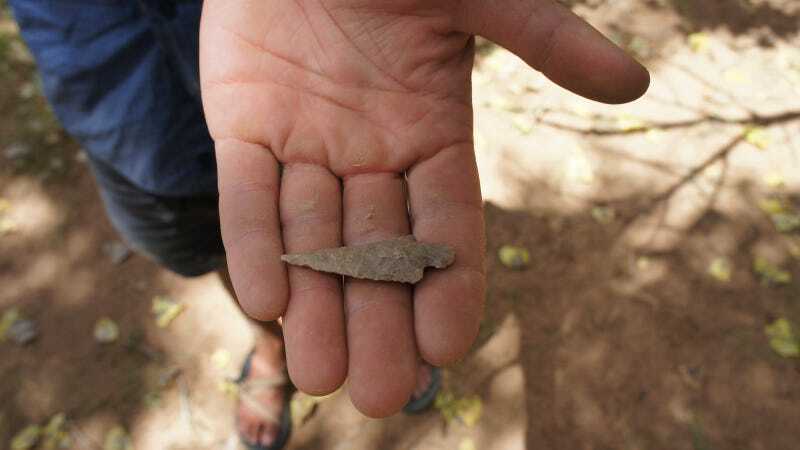 A team of archaeologists from University of California at Berkeley have uncovered remains of the oldest known stone-tipped throwing spears, and their analysis suggests they're 280,000 years old. They were found at an Ethiopian Stone Age site known as Gademotta, and are reported in PLoS One. "Technological advances were not necessarily associated with anatomical changes.. The advances might have started earlier... High-quality raw materials were nearby, so those could have allowed for the full expression of technological skills... [and there] was a mega lake at the site. It might have attracted stable occupations there, further fueling technological advances."